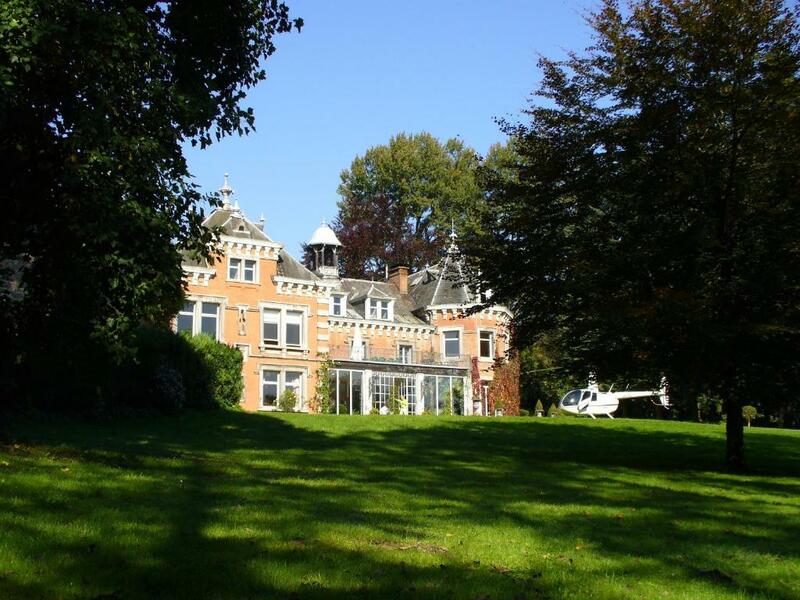 Lovely chateaux, eclectic furnishings, Herbert and Mieke were great hosts, amazing breakfast! Nice big breakfast! The property and of course the building itself was very beautiful and interesting. Room was cozy. The location was perfect for my special needs that weekend. The host Hubert, was gentle, caring and provided me with everything I needed....even my morning espresso. 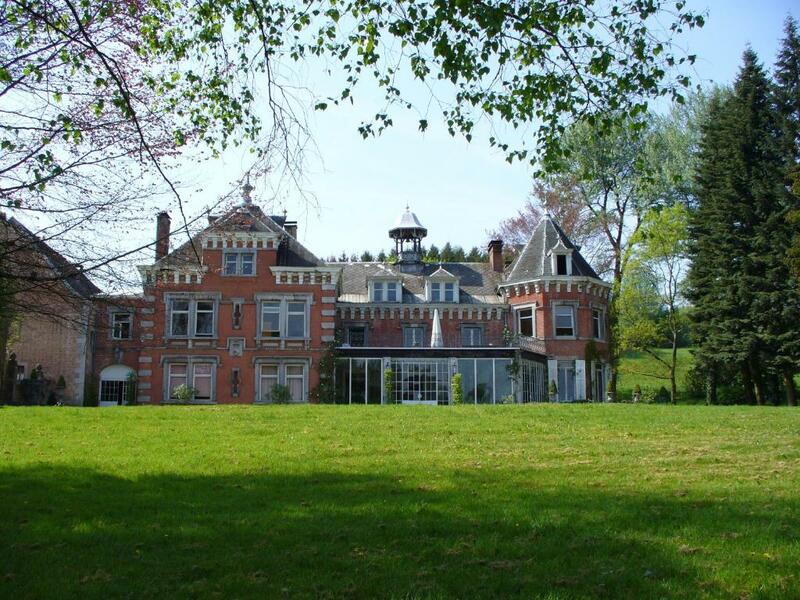 His love of antiques was evident in the time and care he has put into this unique and historic chateau, a masterpiece not often seen. The sleeping room was quiet and was equipped with anything a person traveling could need. I especially liked the nice firm bed mattress. The bathroom was nicely modernized, including a coffee machine and small refrigerator. It's a chateau. The breakfast is amazing! Location is great as well. Even on a hot couple of days, the room stayed nice and cool. amazing place, excellent beds, gorgeous breakfast - we'll surely come back. A peaceful atmosphere for unwinding and start anew. Breakfast is absolutely fantastic and the hosts made it even more magical by setting up a private room in front of the fireplace. We wouls definitaly recommend! Very quiet location and beautiful accommodation, for those who love old buildings with a story. Very warm welcome and excellent service from the owners. Breakfast is very tasty and cared for. Overall a fantastic experience! Comfortable bed, very spacious apartment and dog friendly. Beautiful antique furniture- quite amazing! The breakfast was fantastic! the host was very friendly and this made our stay very unique experience. the palace is wonderful, as well as surroundings. Perfect for a romantic stay. We read other reviews about the breakfast being exceptional and they were spot on! Really fantastic. A very unique place to stay and conveniently located for evenings out in Spa and days at Spa Francorchamps race circuit. 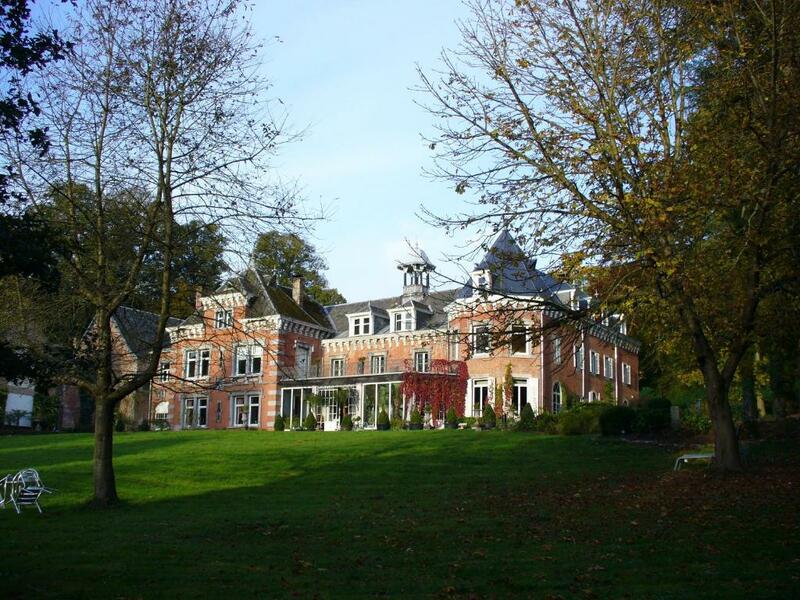 Lock in a great price for Chateau De Hodbomont – rated 8.9 by recent guests! This wonderful holiday home provides a classic atmosphere and green surroundings. 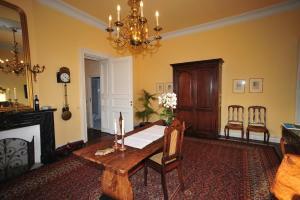 Chateau De Hodbomont offers tastefully decorated accommodations. Weather permitting, you can sit out in the garden and enjoy the peace and quiet. Go hiking or cycling through the beautiful natural environment or explore different Belgian villages and cities. For instance, discover the bustling center of Theux, not far from the hotel, or the famous city of Spa, with its fabulous mineral springs. Alternatively, you can spend an exciting day at the Circuit de Spa-Francorchamps or play golf on the course nearby. In the evenings, guests can go out to one of the restaurants of several categories the area. This property also has one of the top-rated locations in Theux! Guests are happier about it compared to other properties in the area. When would you like to stay at Chateau De Hodbomont? 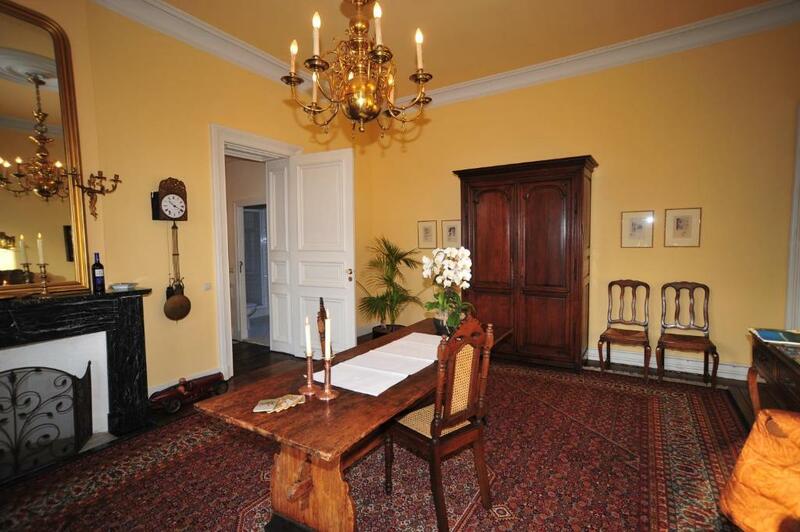 A spacious apartment located in a part of the castle dating from 1779. It includes a view over part of the park, the courtyard and the countryside. It includes a separate entrance over a small bridge and is quietly located. 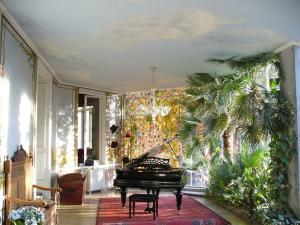 There is a spacious living room with antique furniture, a fireplace and a piano. An open-plan kitchen and a bathroom with a shower are also provided. The apartment comes equipped with a TV and DVD player. There is a shower in every bathroom. This apartment is ideal for guests who wish to bring a dog because of the direct access to the country-side. There are two bedrooms. Please note that if the apartment is rented by 1 or 2 people, one bedroom will be closed. 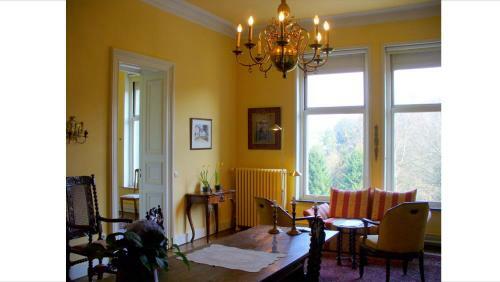 This very spacious apartment, located in a part of the castle dating from 1870, features a view over the park. It has a private entrance and lightly-decorated rooms with high ceilings and antique furniture. There is a spacious, sunny living room and 2 large bedrooms. The separate kitchen includes a refrigerator, dishwasher, a Senseo coffee machine and more. The bathroom is equipped with a shower. 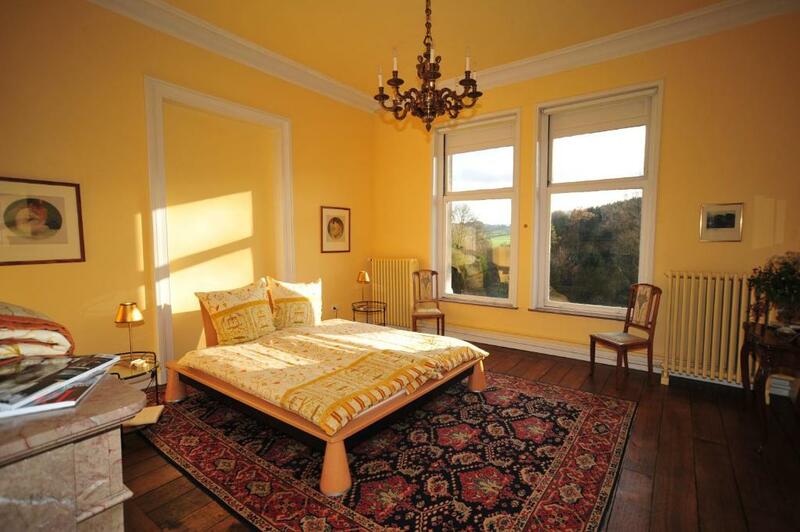 This cozy and quiet room features a view of the courtyard of the castle and the countryside. It is in a part of the castle dating from 1764. 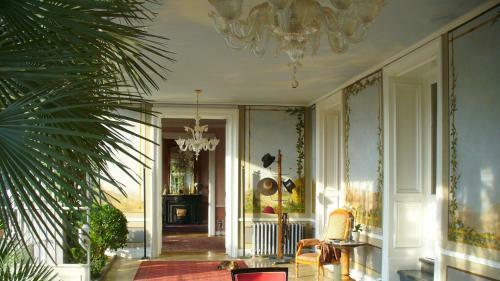 A spacious, sunny room in a part of the castle dating from 1779. It has a view of the park and is furnished with authentic Art Deco and Art Nouveau antiques. It has a large bathroom. This suite is located on the second floor of the castle, overlooking the park and the countryside. It is located in the main building dating back to 1764 and is decorated with antiques including paintings and engravings about Aix-la-Chapelle's history. House Rules Chateau De Hodbomont takes special requests – add in the next step! Chateau De Hodbomont accepts these cards and reserves the right to temporarily hold an amount prior to arrival. Please inform Chateau De Hodbomont of your expected arrival time in advance. You can use the Special Requests box when booking, or contact the property directly using the contact details in your confirmation. The atmosphere of this old castle was special. The whole place is rundown. The kitchen was a bit dirty. I can't think of anything to change! I had booked the room for my partners birthday. They gave us a surprise upgrade and the room was reallu amazing. Spacious, beautiful view over the land and the bathroom was absolutely amazing. Enjoyed every moment! And the hosts were really kind and helpfull! Entrance drive needs levelling to remove high ridge down centre for cars with limited ground clearance. Really Nice place to stay !!! The owners are a little like Basil,and Polly from Fawlty Towers. At moments superfriendly and then suddenly a bit weird. The friendliness prevailed though.